DALIAN, May 8 (Xinhua) -- Xi Jinping, general secretary of the Central Committee of the Communist Party of China (CPC) and Chinese president, met Kim Jong Un, chairman of the Workers' Party of Korea (WPK) and chairman of the State Affairs Commission of the Democratic People's Republic of Korea (DPRK), in Dalian, northeast China's Liaoning Province, on May 7-8. Wang Huning, member of the Standing Committee of the Political Bureau of the CPC Central Committee and member of the Secretariat of the CPC Central Committee, attended related activities. 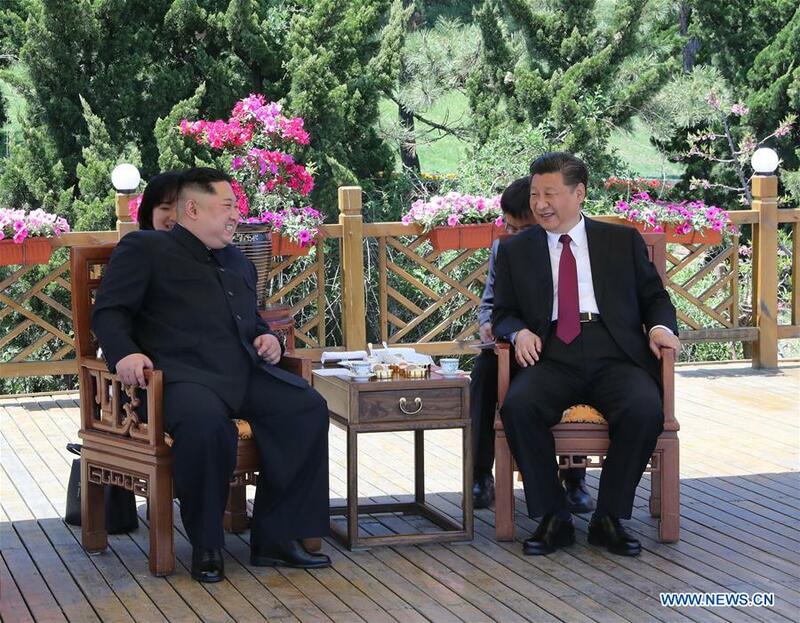 Xi held talks with Kim and hosted a welcome banquet for him. Together, they also took a stroll and attended a luncheon. In a cordial and friendly atmosphere, the top leaders of the two parties and the two countries had an all-round and in-depth exchange of views on China-DPRK relations and major issues of common concern.